The end of the financial year is coming and it’s time to start thinking about your 2014 Income Tax Return. Now is a good time to start reviewing certain assets and liabilities owned by your business and consider if there is anything you should do prior to 30 June 2014 rolling around. Are there any repairs and maintenance you should carry out prior to 30 June 2014 so you can claim the deduction in your 2014 return? Are there any recently announced measures in the May 2014-15 Budget you should talk to your tax adviser about? Your tax adviser is the best person to help you with these decisions as your tax adviser knows your business and has experience with other businesses similar to yours, they are able to offer you sound advice about how to best prepare your business for the start of the 2014-15 financial year. The loss carry-back measure – this measure will only apply for the 2013 income year. The instant asset write-off amount of $6,500 for small businesses – Taxpayers, including those who use early balancing substituted accounting periods, who lodge a tax return for the 2013-14 income year can self-assess under the existing law. Once the law is enacted, the taxpayer will need to seek an amendment to apply the new law. No tax shortfall penalties will apply and if the amendment is sought within a reasonable time, we will remit any shortfall interest attributable to the amendment to nil. Otherwise the shortfall interest will run from the date the change becomes law. The accelerated deprecation for motor vehicles that is available to small businesses– as above for the instant asset write-off. The loss carry-back measure – Taxpayers, including those who use early balancing substituted accounting periods, who lodge a company tax return for the 2013-14 income year can self-assess under the existing law.Once the law is enacted, the ATO will amend the company tax return to disallow the claim for the loss carry-back tax offset for the 2013-14 income year. This will result in an increase in the taxpayer’s tax liability. No tax shortfall penalties will apply and any interest attributable to the shortfall will be remitted to nil. There is further information on the ATO website. However, at the time of writing, this was not yet law. Last year’s Budget saw the introduction of an initiative to strengthen third party reporting and data matching to assist the ATO with its compliance work and revenue collection. Per this year’s Budget, the start date for the legislative elements of this initiative will be deferred from 1 July 2014 to 1 July 2016. A series of minor amendments to the tax and superannuation laws will be made to correct technical defects, remove anomalies and address unintended outcomes which have recently been identified, including technical corrections to the uniform penalty rules that prevent certain penalties that are levied under the law from being collected, and a number of amendments to address issues raised by industry in relation to the consolidation regime. From 1 July 2014, the Commonwealth Ombudsman’s case management of tax complaints will be transferred to the Inspector-General of Taxation (IGT). This measure will enhance the IGT’s systematic review role, and provide taxpayers with more specialised and focused complaint handling of their tax matters. This initiative strengthens the IGT’s role as an independent reviewer of systemic tax administration and to report to the Government with recommendations to improve tax administration for the benefit of all taxpayers. Deferral of the start date for the MIT system – the start date for the new system for managed investment trusts will be deferred to 1 July 2015. The tax law will be amended to allow MITs and other trusts treated as MITs to continue to disregard the trust streaming provisions for the 2014-15 income year, ensuring these interim arrangements for MITs continue to apply until the commencement of the new tax system for MITs. R&D tax incentive – from 1 July 2014, the rates of the refundable and non-refundable offsets for the Research and Development (R&D) Tax Incentive will be reduced by 1.5%. Modified consolidation integrity measures – from Budget night, certain modifications to the consolidation integrity package that was announced in the 2013-14 Budget will take effect. Foreign resident CGT regime: modification of integrity measure – modification will be made to the measure announced in the 2013-14 Budget to amend the principal asset test so that the measure now applies to interests held by foreign residents in unconsolidated groups. The 2014 FBT year ended on 31 March 2014. The due date for lodgement of your FBT return is 25 June 2014 if you are lodging your FBT return electronically through your tax agent. 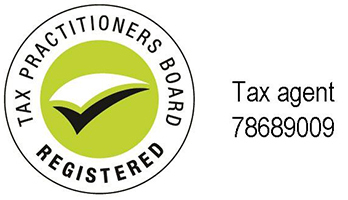 If you are not using your tax agent to lodge your FBT return or you are and are lodging using the paper form, the due date for your return was 21 May 2014. Regardless of whether you are lodging your FBT return by paper or electronically, the due date for payment has not changed, and remains as 28 May 2014. Self-assessed deferral requests for FBT returns are no longer available. However your tax agent can lodge a request for additional time to lodge where there are exceptional or unforeseen circumstances that prevent lodgement by the due date. Be sure to include sufficient information for the request to be considered. If you have missed out on being able to access the later lodgement date available if you lodge your FBT return electronically through a tax agent, be sure to appoint your tax agent to look after your FBT matters for 2015. On 14 May 2014 the ATO released the car parking threshold for the fringe benefits tax year commencing on 1 April 2014. The threshold is $8.26. This replaces the amount of $8.03 that applied in the previous year commencing 1 April 2013: TD 2014/11 "Fringe benefits tax: for the purposes of section 39A of the Fringe Benefits Tax Assessment Act 1986 what is the car parking threshold for the fringe benefits tax year commencing on 1 April 2014?" On 16 April 2014, the ATO issued Taxation Determination TD 2014/9 entitled "Fringe benefits tax: reasonable amounts under section 31G of the Fringe Benefits Tax Assessment Act 1986 for food and drink expenses incurred by employees receiving a living-away-from-home allowance fringe benefit for the fringe benefits tax year commencing on 1 April 2014." If you provide either of these types of benefits to your employees, make sure you are aware of the new amounts that apply to the 2015 FBT year. limiting the rules in the Banking Act for unclaimed moneys to prevent them applying to FMDs. The increase in the non-primary income threshold and the changes to allow taxpayers to consolidate FMDs apply to income years commencing on or after 1 July 2014. In media release No 2014/06, issued 19 February 2014, it is noted that nearly one million Australia have chosen to take control of their superannuation future as the popularity of self-managed super funds (SMSFs) continues to grow. ATO Deputy Commissioner Superannuation, Alison Lendon, said in light of the sector’s growth, the ATO is committed to improving the services it provides to SMSF fund managers and trustees. “With the popularity of SMSFs continuing to grow, we want to work with trustees and their advisors to improve compliance and make sure they are prepared for several regulatory changes that will be rolled out over the next year." If the legislation is adopted, administrative penalties will apply to breaches of super law from 1 July 2014. This means SMSF trustees will be personally liable for penalties between $850 and $10,200 depending on the provision contravened. “SMSF trustees should rectify any contraventions as soon as possible or they may face a penalty. In some cases these changes will impact the way SMSFs operate so for the ATO our focus will continue to be on education and support to ensure trustees understand the rules,” Deputy Commissioner Lendon said. If you have an SMSF, be mindful of the ATO’s focus on these entities. If you have any concerns with your SMSF, speak to your tax adviser. If you are an employer and deposit superannuation contributions for your employees into their SMSFs, you should note the following. In media article No 2014/03, issued 19 February 2014, the ATO said it is calling on self-managed superannuation fund (SMSF) trustees to be aware of changes to the way they receive super contributions. Starting from 1 July 2014, SMSFs will be required to receive contributions electronically from employers. Employers with less than 20 employees have another year to make this change so SMSFs should check with their employers about their start date. To assist employers, SMSF trustees will need to obtain an electronic service address for the delivery of contribution messages. SMSFs will then need to provide their ABN, bank account details and electronic service addresses to their employer by 31 May 2014. These changes apply to CGT events happening in the 2006-07 income year or later income years. enacted the small business entity ($2 million turnover) test as an alternative to the maximum net asset value test as a means of qualifying for the small business capital gains tax concessions. These changes apply to CGT events happening in the 2007-08 income year or later income years. A further amendment has also been made to TD 2007/14 to include the Commissioner’s view of the implications of the Full Federal Court decision of FCT v Byrne Hotels Qld Pty Ltd  FCAFC 127 in relation to ‘contingent liabilities’ for the purpose of calculating ‘net value of CGT assets’ and in particular, that contingent liabilities are generally within the meaning of ‘liabilities’. If you are trying to see if you are eligible for any of the small business CGT concessions and are wondering whether these changes affect you, seek advice from your professional tax adviser who is best able to assist you with this as the rules are complex and they will be able to help you navigate them. There is lots of news from the ATO that small business taxpayers should be aware of – see below for what might be relevant to you and your business. The ATO says that Standard Business Reporting (SBR) is a quicker and simpler way to prepare and lodge reports to government – including the ATO – directly from business software. The ATO sees this whole-of-government approach using common computer language as the future of electronic service delivery. So businesses will start to need to prepare themselves for this new system. For more information and to access an ATO video on SBR, go to the ATO website. The April 2014 edition of the ATO’s Business Communicator contains news and updates for businesses with an annual turnover between $2 million and $250 million. These include articles on the offshore voluntary disclosure initiative; common R&D mistakes; payments of refunds of overpaid GST; new rules about communicating with the ATO; the ATO and social media; streamlining superannuation contributions; and updating your business registration details. 3. PROJECT DO IT: ATO SAYS "DISCLOSE OFFSHORE INCOME AND ASSETS NOW"
There is a new ATO initiative that all taxpayers with offshore income should be aware of: Project DO IT. This initiative is about the ATO urging all taxpayers with offshore assets to declare their interests, ahead of a global crackdown on international tax havens. The ATO says that if clients of tax agents have offshore income or assets, now is the time for them to review their overseas financial activities and make sure their tax is in order. The recently announced "Project DO IT: disclose offshore income today" initiative provides clients with an opportunity to make a voluntary disclosure in return for reduced penalties and other incentives, but is only available until 19 December 2014. The ATO has been contacting businesses in the building and construction industry who have not yet lodged their 2012-13 Taxable payments annual reports. Businesses may have been contacted by phone or letter. To ensure your compliance obligations are met, see your tax adviser to check whether you should have prepared one of these reports for your 2013 return. In May 2014, the ATO sent letters to businesses in the building and construction industry that may be paying contractors, to remind them to lodge their 2013–14 Taxable payments annual report by 21 July 2014. The letter was generally be sent to their business addresses. The ATO should have also alerted tax agents if their clients were going to be sent the letter. If you did receive one of these letters, it is best to first contact your tax agent to work out whether you need to prepare one of these reports. The ATO says it understands that many businesses use electronic channels to manage their day to day interactions and record keeping. From 1 July 2014, the ATO advises that it will no longer send paper activity statements out for the majority of taxpayers whose activity statements are lodged electronically. The ATO will continue to send paper activity statements for certain form types only that cannot currently be sent electronically. Transitioning activity statements to be fully electronic is one of the steps the ATO is taking to keep pace with community expectations as more and more business is done electronically. The ATO is running a pilot to issue emails when tax agents or their clients phone the ATO to make a payment plan. The ATO will soon offer the option to receive the first instalment amount and due date by email. The email pilot will consist of approximately 1,000 participants including individuals, businesses and tax practitioners. Should you become involved in this pilot, it is best to let your tax agent know so that they can keep an eye on things. The ATO is looking for ways to improve the way it resolves disputes with taxpayers. In 2013, the ATO conducted a trial of a new dispute resolution process, “facilitation”, in smaller and less complex indirect tax objections. The process used ATO officers as facilitators in meetings between taxpayers /their agents and ATO case officers responsible for the dispute. The ATO facilitators who assisted the parties to identify and review options to resolve disputes had not been involved in the dispute. After a review of the results of the pilot, the use of facilitation has now been extended to a range of disputes including less complex disputes arising from indirect tax, small business and individual audits and objections. If you find yourself being audited by the ATO, know that this facilitation process might well be available to you to help quickly resolve the matter. The PAYG withholding variation application (e-variation) for 2014-15 is now available to use. The ATO says that lodging an e-variation via the internet will allow faster processing, and most e-variations are processed within 14 days. More information about varying the rate or amount of PAYG tax withheld from payments to taxpayers for the year ending 30 June 2015, and lodging PAYG withholding variation applications can be found on the ATO website. However, if you do wish to vary your PAYG withholding amount, it is best to consult your tax adviser first to help you work out the right amount for you. relevant trust deeds, trust minutes, company constitution and any other relevant documents. To make sure you have kept the right information for this and any other concessions you claim, see your tax adviser. If you have a primary production business, this information might be relevant for you. The ATO has developed an app for small businesses. This app might be useful to assist you with your interactions with the ATO. If you are interested in finding out more about the app, more information can be found on the ATO website.